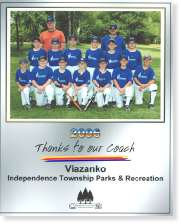 Team Viazanko believes it is important to support the community in which we live and work and has long been a supporter of a variety of civic and charitable causes including hospitals, homeless shelters, youth programs, and many others. Employees regularly participate in events such as “Light the Night Walk” supporting the Leukemia and Lymphoma Society, and the Komen Race for the Cure® supporting the Susan G. Komen Breast Cancer Foundation, and other civic and charitable activities. Team Viazanko actively supports the American Heart Association, the American Cancer Society, D.A.R.E., Toys for Tots and the Special Olympics.